Gifts can be made online to the Sick Dog Fund which is a dedicated donation account for emergency medical care of dogs in our custody. General monetary donations are also always accepted to assist with the care of the dogs. These can be made by mail or in person. Complete the form below to make an online donation and you will be taken to the final checkout. 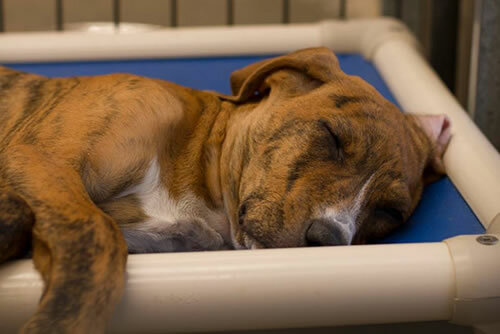 The Sandusky County Dog Shelter is registered with the Kuranda Dog Bed website which allows the public, organizations and businesses to pay for and donate Kuranda Dog Beds which are shipped directly to the shelter. Please visit the Kuranda Dog Bed Website to donate a bed. If you are interested in donating to the shelter you can also see the shelter's amazon.com wish list. Items purchased from the amazon.com wish list are delivered directly to the shelter.